Danish Royals Attend Private Funeral for Prince Henrik - Integration Through Media ....! 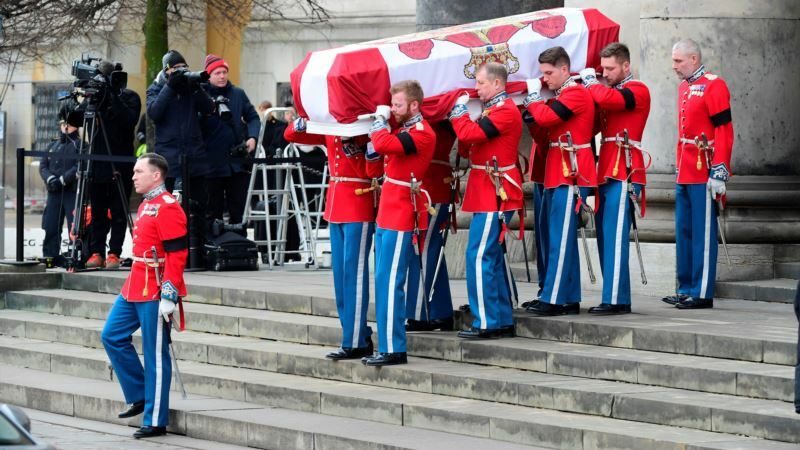 (VOA): Danish royals and officials on Tuesday attended a private funeral for Denmark's late Prince Henrik, husband of Queen Margrethe, at a Copenhagen chapel. Henrik, who married Margrethe in 1967, died February 13 at age 83. He was diagnosed with dementia last year and was hospitalized in January with a lung infection.